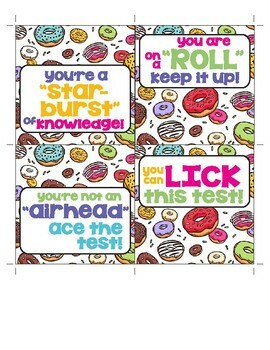 This cute bundle includes cover sheets, bookmarks, and treat tags that remind students to "Donut Stress" during testing time. 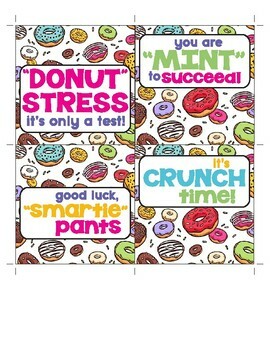 Help make testing time a little less stressful with these "Donut Stress" treat tags. 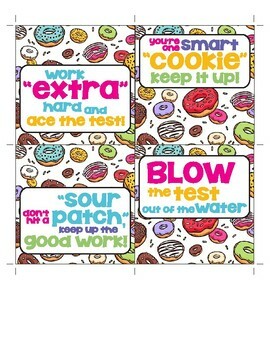 Each tag communicates a fun play on words that will be sure to get a smile when you place the corresponding treat on top of it.